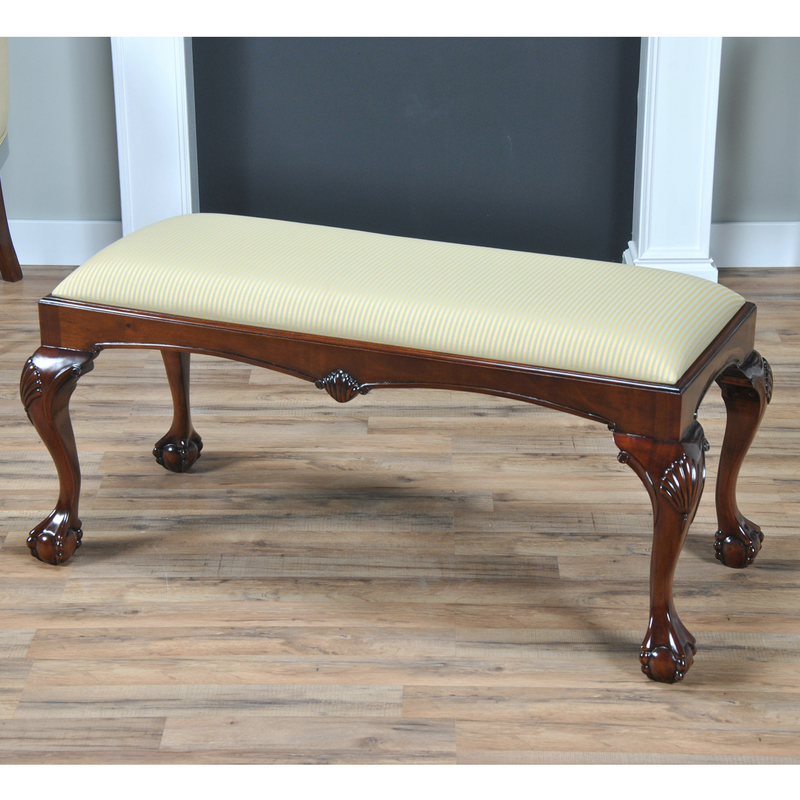 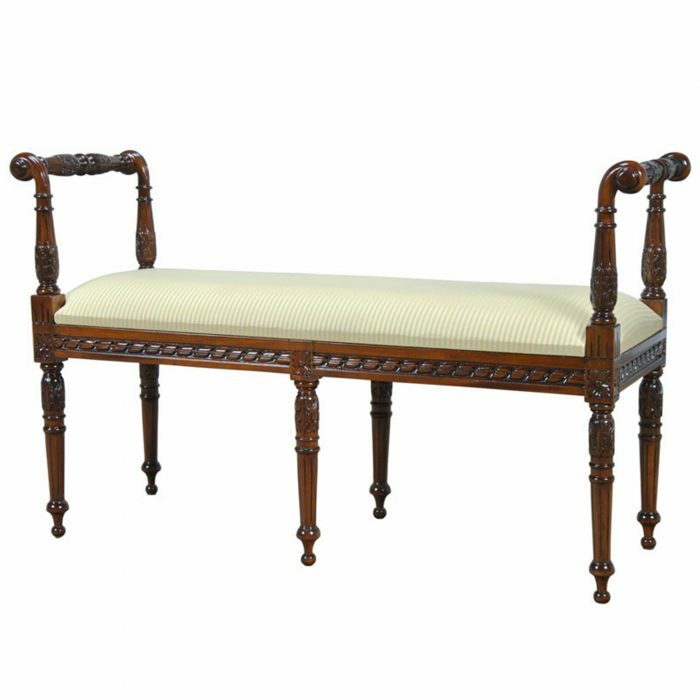 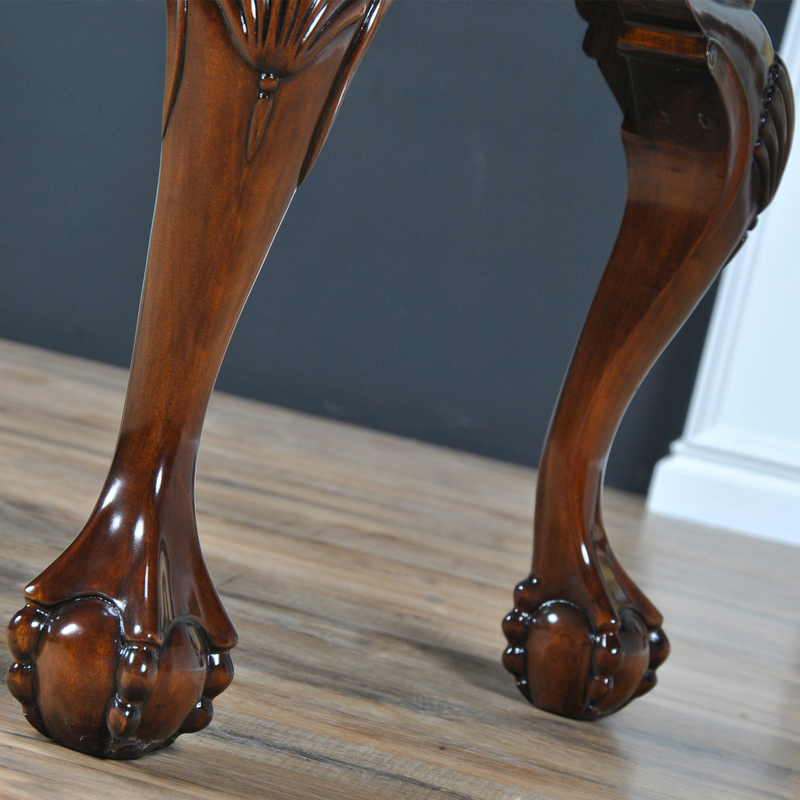 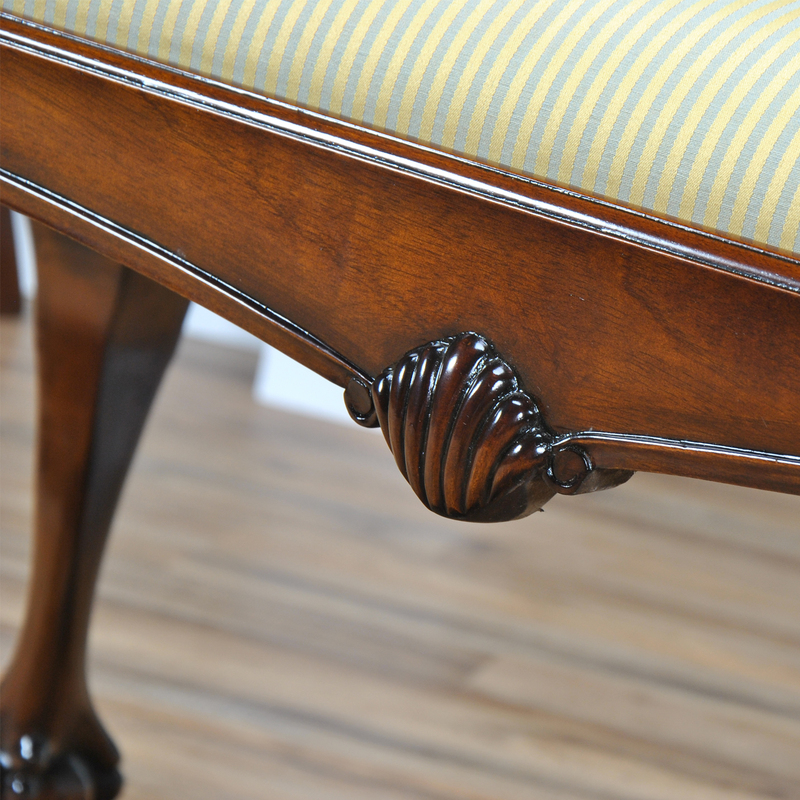 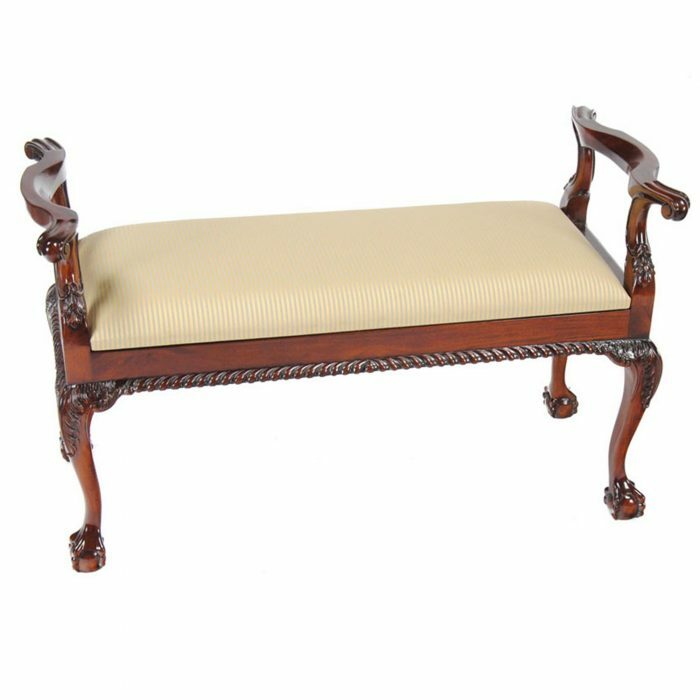 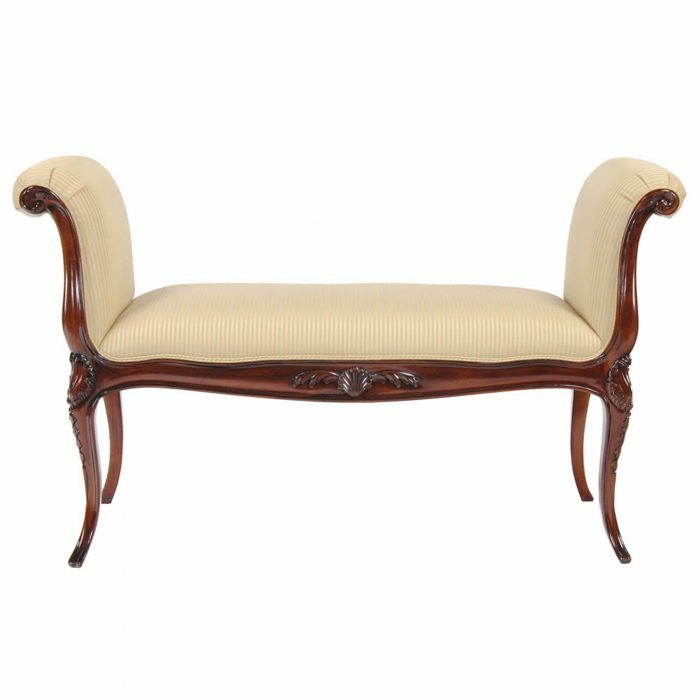 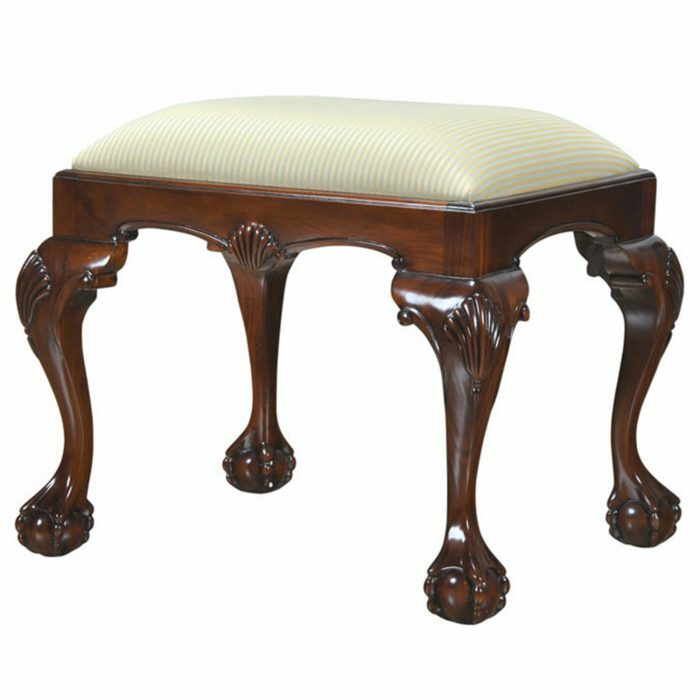 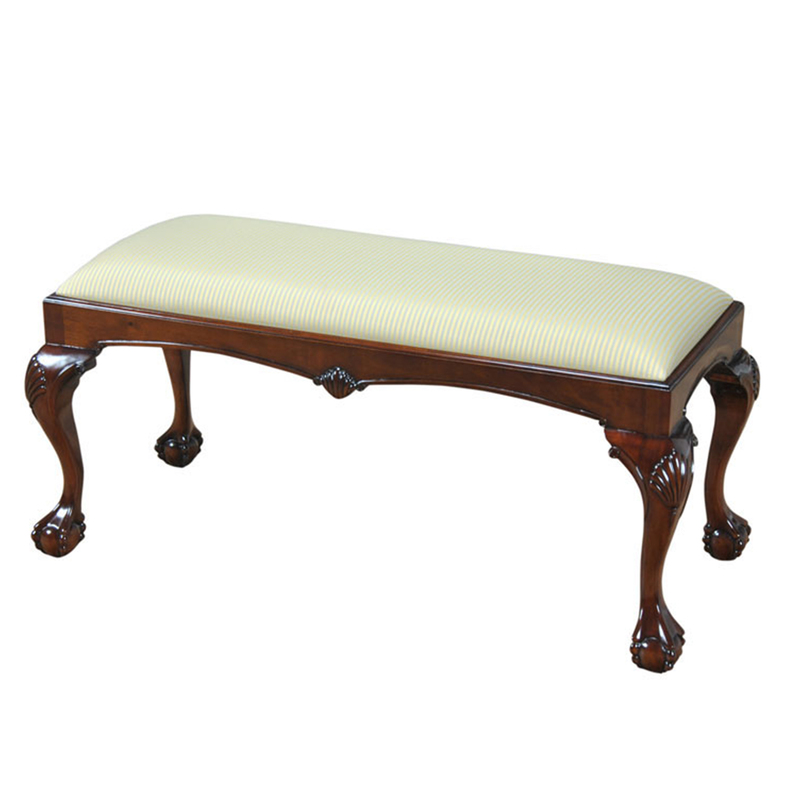 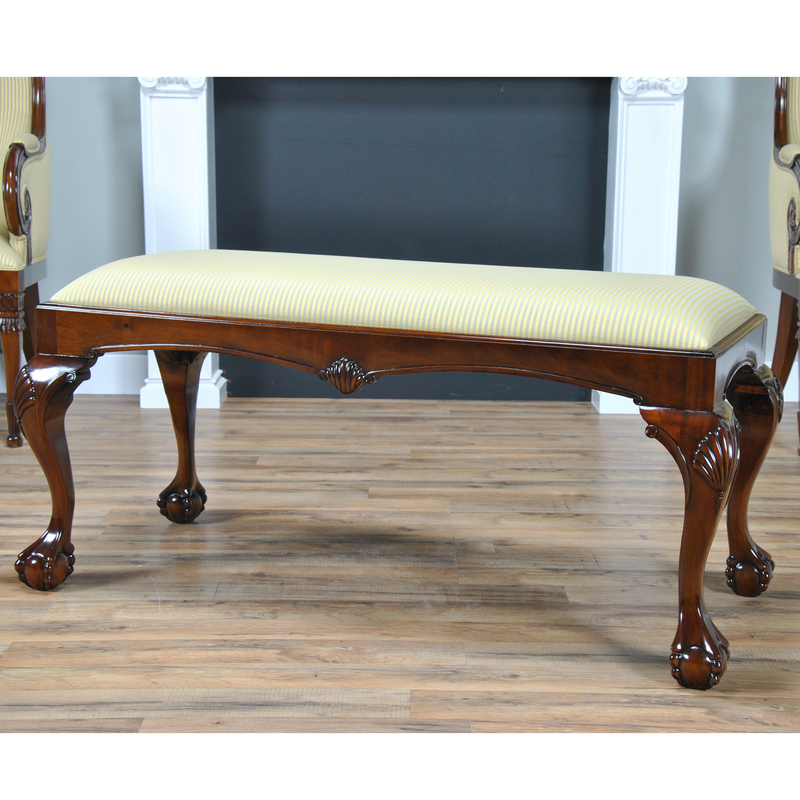 The Large Chippendale Bench is a high quality, solid mahogany large Chippendale style bench with upholstered drop in seat, shell carved knees on cabriole legs resting on ball and claw feet. 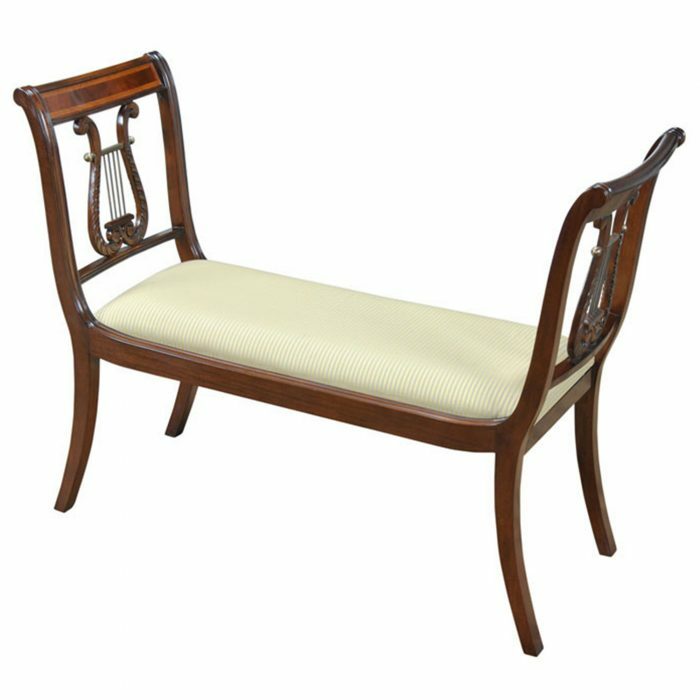 Beautifully finished with neutral upholstery and ready to use in your home, the Large Chippendale Bench has a seat which is easy to remove with four screws should you decide to add a different fabric. 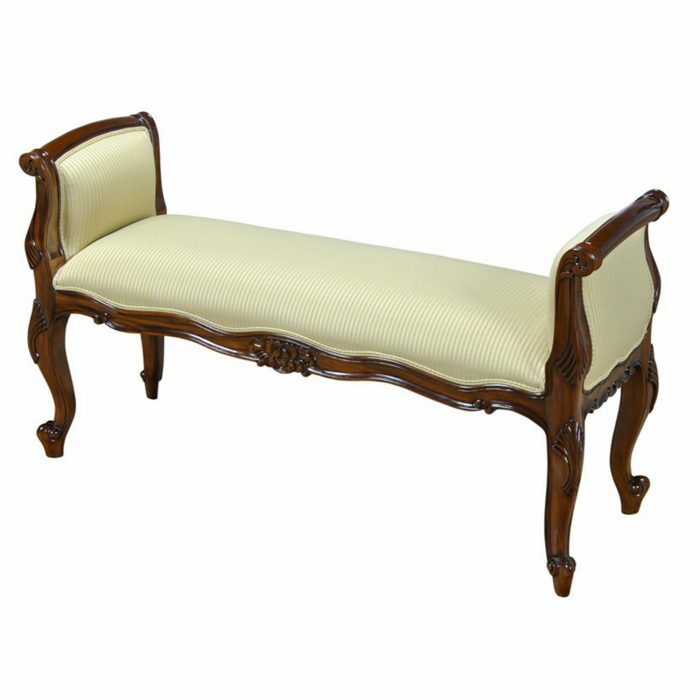 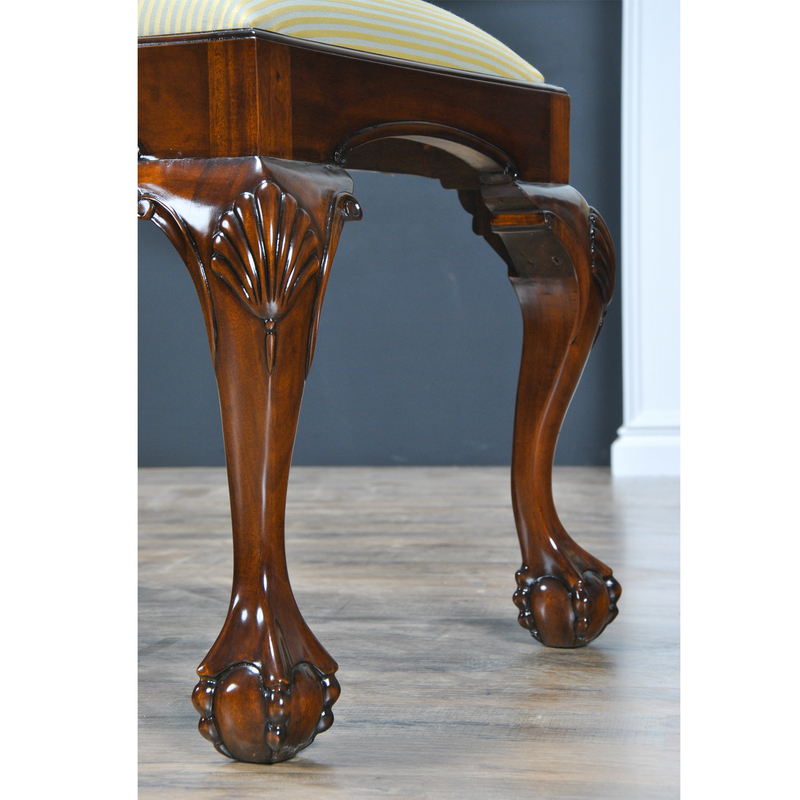 Great at the foot of a bed and can also be used as either a window bench or hall seat.